Your days will begin with your choice of a traditional Australian cooked breakfast (bacon, eggs, sausages, tomato and toast served with a variety of condiments) or a continental breakfast (cereals, fruit, fruit juices, full cream or skim milk). Breakfast is served on our escarpment balcony so you can absorb the early morning panorama of the river valley below. Tea and coffee facilities are available in the dining area. Lunches are pre-packed picnic lunches prepared by our chef and stored fresh on ice until lunchtime. Soft drinks are also included in the onboard ice box, while a 20L container of fresh chilled water is also part of each boat’s refreshment inventory. Pre-dinner snacks are served at the bar on your return to the Lodge in the afternoon. Here you can enjoy a refreshing ice cold drink while savouring delicious barra bites or other delicacies while the chef prepares your dinner. Your two-course dinner, prepared by the Lodge’s master chef, will be served again on our spectacular dining deck. 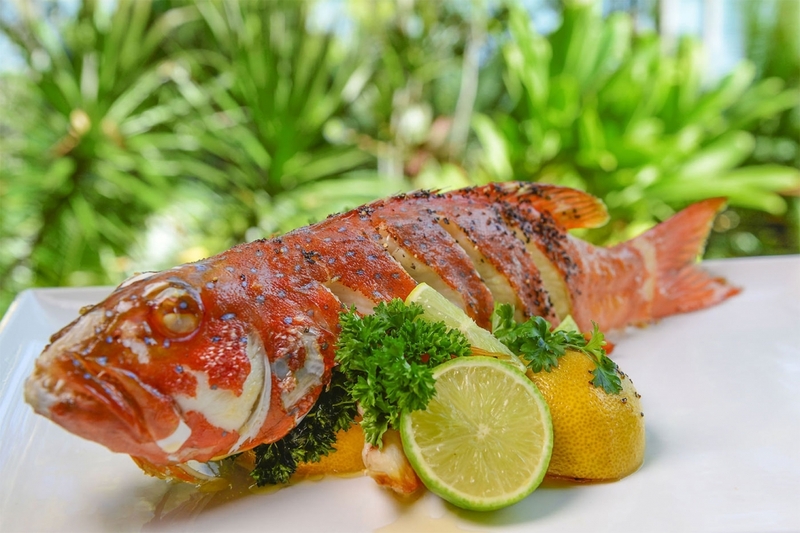 Our in-house chef will prepare many of your days catches for your evening meal. 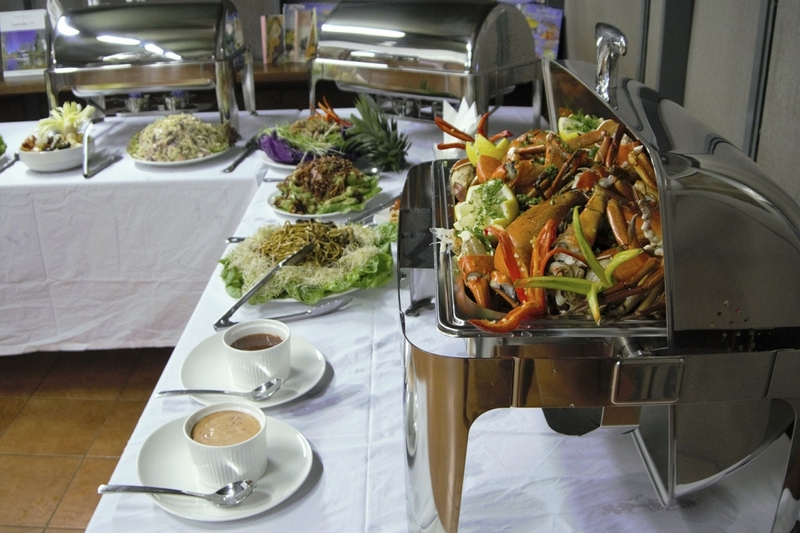 Other delicious cuisine is also served if you are not a seafood lover. The Barramundi Bar is located on the shaded front deck together with additional outdoor seating and dining for up to 24. The bar is stocked with a selection of quality wines and beer that are available for purchase while soft drinks are complimentary.